Do you often get angry or lash out at others? Maybe you’ve tried anger management programs and have had little success. You aren’t alone, and there is help. This book is like no other, and will give you the necessary skill to control emotions and improve your relationships. By transforming your anger into vitality and vigour, you can set the foundation for a creative, constructive, and fulfilling life. 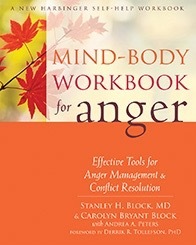 Mind-Body Workbook for Anger offers a powerful, innovative approach using mind-body bridging therapy. Proven effective in both clinical and research settings, the easy-to-use self-help exercises will help you let go of tension, allow your body to relax, and prevent angry outbursts.